Dr Villiers has delivered conference and professional seminar presentations on career management, selection, retention and applying for jobs. Her presentations are informative and provocative, inviting people to reconsider their assumptions and explore self-imposed and possibly unquestioned thinking. For more details read Ann’s biographical details. 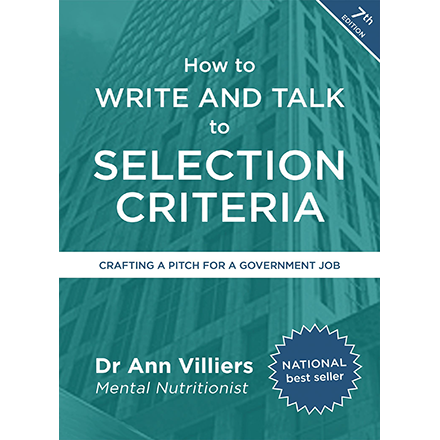 Dr Villiers has delivered professional development programs on career management, applying for public sector jobs (writing to selection criteria and preparing for interview), and recruiting and selecting staff. She has led workshops for ACT, Queensland and Commonwealth public servants, librarians, school administrators, hospital administrators, university graduates, and groups of Indigenous, multicultural and returning to work people.